I’ve never seen Wilco live. I had tickets for the band’s show last year, but had the worst flu of my life and couldn’t make it – thankfully, there’s a wealth of excellent bootlegs (Wilco is one of the many great bands, Radiohead and Ryan Adams included, who allow taping of its concerts) over at Via Chicago for our persual. 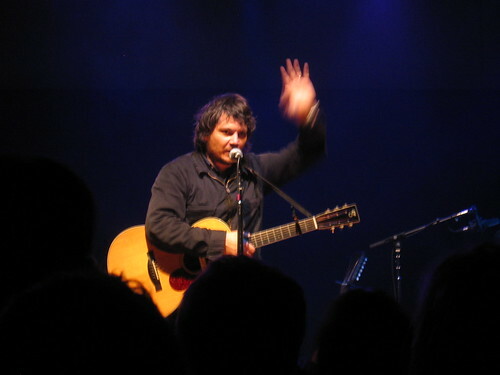 Some of the best shows, though, are just frontman Jeff Tweedy playing 25+ song sets with his acoustic guitar, with material ranging from Wilco to Uncle Tupelo to any number of covers. All my Wilco boots are on CD at the moment, so here are some tracks from one of those Tweedy shows.